Cookbook Author Interview: Jeanne Sauvage - A terrific way to get a sense of the process is to write a cookbook proposal. 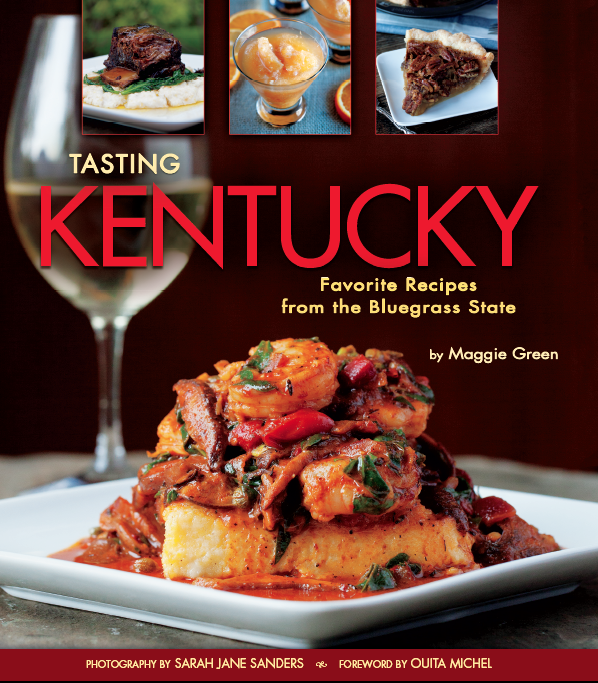 Over the past nine months I (Maggie) have come to grips with a new reality – cookbooks are my passion. Cookbooks, more than a printed recipe off the internet, are a window into the heart and soul of the author. You learn a lot about a person by reading their cookbook – the way they write, cook, eat, and more. For almost 30 years I have loved to read cookbooks and have amassed quite a collection. 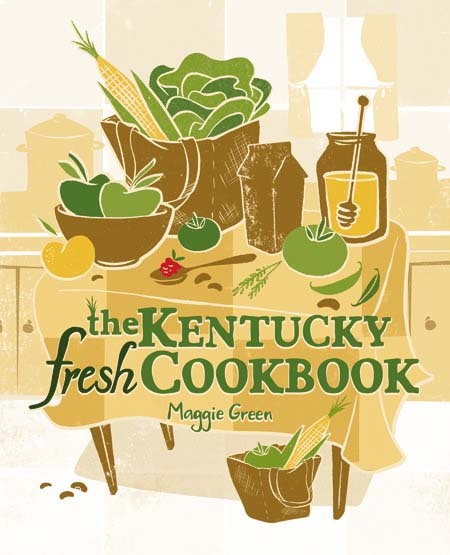 For the past 10 years I’ve worked closely with cookbook authors in several capacities, and now as if in a dream sequence, I have written my first cookbook The Kentucky Fresh Cookbook. As I moved through the process of writing my cookbook, I kept thinking about how lucky I was to have this opportunity. I then started thinking about all the individuals who would love to be where I am, writing a cookbook of their own, but in all honesty don’t have a clue where to begin. For that reason I am happy to launch a new interview series with cookbook people – authors, editors, agents, designers, production specialists, readers, etc. My goal is to support aspiring cookbook writers in their goal – writing a cookbook. I’m so excited because my interview today is with Jeanne Sauvage, or as I know her @fourchickens (Twitter handle). Jeanne is newly under contract with Chronicle Books for an upcoming cookbook –Gluten-Free Holiday Baking. Jeanne is under a tight deadline so I’m grateful for her time to do this interview. In it she shares her opinions about writing cookbooks, food blogs, and some timely advice for aspiring cookbook authors. You can follow Jeanne on Twitter @fourchickens or visit her lovely blog www.artofglutenfreebaking.com. If you check her recent blog post you’ll see her call for recipe testers. Maybe you might be a great recipe tester for her book? Thanks, Jeanne. You are a treasure in the world of cookbooks, recipes, and food. I can’t wait to see your upcoming book. Do you have any experience writing other books, or is this your first? This is my first cookbook, but I do have a Ph.D., which required me to write a 500 pp dissertation, so I do have experience writing a book. Can you tell me how you were offered a contract for your cookbook and the working title? Was your blog a part in a contract? I was contacted by an editor at Chronicle to write a gluten-free holiday baking cookbook. The editor said that she had been following my blog for a few years and was pleased with what I had done with it. I had no idea she was following my blog. What was helpful here, I think, is that I had been approached by a regional publisher last spring. At my meeting with them, they told me that they wouldn’t publish me until I had strengthened my “platform”–i.e., my blog, Facebook, and Twitter presence, teaching classes, doing demos, etc. Thus, I had been working on developing my platform for the months leading up being contacted by Chronicle. Anyway, after asking me if this is a book I wanted to write and then discussing the project over the phone, the Chronicle editor asked me to write an abbreviated proposal for the book and return it to her in one week. Eek. The only thing that made this proposal different from a regular book proposal was that I didn’t have to include sample chapters. What really helped me here was the fact that I had been in the process of writing a proposal for a different cookbook and was almost done with that when the editor contacted me. The fact that I already had experience with writing a cookbook proposal was immensely helpful in this instance. It helped me be able to write a 50 page book proposal in one week. In addition, I had also been in contact with an agent who represents a friend of mine and whom I met at a conference last year who had agreed to see my other proposal when it was finished. When the Chronicle editor contacted me, I contacted the agent, explained the situation, and asked if she would represent me. After several conversations where she asked me all sorts of questions about my experience and my future plans, and discussing me with her staff, she agreed to take a chance on me and she agreed to represent me. Once I signed with her, I sent her the proposal before I sent it to Chronicle, so she could proofread and suggest edits. Thankfully, not many were needed and she, as my agent, sent the proposal to Chronicle. This all happened within the space of 2 weeks. Then the Chronicle team met about the book and apparently liked it–and they made me an offer. Again, having an agent here was immensely helpful, because she negotiated the terms of the contract. The working title is Gluten-Free Holiday Baking. And, no mention has been made about my blog in terms of how it relates to the book. I’m guessing the publishers would like me to continue my online presence on my blog, Twitter, and Facebook and I’m keeping up with all of those. Do aspiring cookbook authors need food blogs? I don’t know that they need one, but I think it’s immensely helpful to have one. For me, it’s helpful to have a food blog. What I have found very helpful with my blog is that it has helped me hone my recipe writing skills. If things aren’t clear, my readers let me know. Also, you get such great feedback from folks about what kinds of recipes they like as well as the different alterations they’ve made. It’s this on-going conversation with my blog readers that has helped me get better. Also, I have found Twitter to be an amazing place to make contacts and learn about what’s going on the field. I highly recommend to anyone who is interested in writing a cookbook to be on Twitter and to develop their presence there. What compelled you to want to write a cookbook? First, baking is my passion! It has been my whole life. When I was diagnosed as gluten intolerant 11 years ago, I switched to gluten-free baking because I couldn’t imagine a world without baking. Also, I love the holidays and I love baking for them! So this book is perfect for me! Before Chronicle contacted me, I had been writing a proposal for a different cookbook. I decided to do that because I felt that I had something different and important to say in my field, which is gluten-free baking. Also, I have experience with writing a book (my Ph.D. dissertation), and I enjoyed that experience, so I feel like I really knew what I was getting into. In addition, I have friends who have written cookbooks and watching them go through their processes confirmed for me that that was what I wanted to do. Do you find the publishing industry daunting in any way? Yes, of course! I’m so new to all of this–I don’t know half of what I’m sure I will know once I’m in the field for a few years. I am extremely grateful to have a book agent who can help me navigate this industry (although I know many cookbook authors who don’t have agents). Also, my editors at Chronicle are very nice. Currently, I am a bit daunted by the DIY nature of book tours these days. I have several friends who have written cookbooks and watching them arrange and then go on their book tours is exhausting to watch. Wow. What are your thoughts about non-Food TV network stars writing their own cookbooks? I don’t watch the TV food networks, so I have no opinion either way. On the other hand, I’m not a Food TV star and I’m writing a cookbook, so I guess I’m all for it! What is your advice for an aspiring cookbook writer who is reading this interview? I would advise people to be clear on what their goals are. I know many people who kind of vaguely think they want to write a cookbook, but really have no idea what they would write about or what they would say. I think that approach is putting the cart before the horse. I think, as many other folks have said before, there’s no reason to write a cookbook unless you feel that you have something different to say or are writing on a different topic or have a unique approach. I don’t necessarily think everyone is cut out to write a cookbook, so it’s important for folks to know themselves. A terrific way to get a sense of the process is to write a cookbook proposal. You’ll have to write one no matter what (even if you’re contacted by a publisher like I was), so I recommend getting started on one. It’s a huge endeavor, but well worth the effort. What will be the biggest challenge in completing your manuscript? Time. I have a very short time in which to write my manuscript. But, I knew that going into this project and have a chart of when to finish each part. What is your biggest fear about writing a cookbook? I don’t know that I have any real fears at the moment. I guess I do have a bit of the common fear that no-one will like it or buy it. But, that is so far in the future (the book is set to come out Fall of 2012) that it all seems unreal at the moment. I cannot tell you how excited for Jeanne I am, and how happy I am she and you did this interview. Jeanne is one of my favorite bloggers in the entire world, and I’m not even gluten-free! She helped me understand a lot about it though, and for that, I am incredibly grateful. She also just happens to be one of the most humble, lovely, adorable people I’ve ever met. Hurrah! Thanks, Amber. And I agree with you whole-heartedly – Jeanne is a terrific lady with a lot to offer those of us who know her, her blog, and now a cookbook. What a lovely interview with Jeanne. She and I share the same publisher and I am thrilled for her. And she is absolutely right that a cookbook proposal is a great way to challenge yourself and see if you have a book in you. It requires you to focus and hone your idea. Can’t wait to see your book in print, Jeanne! Great interview. Lovely to hear about Jeanne’s book journey! Thank you. Thanks, Nicola for your comment.I feel energized talking to passionate people like Jeanne and I’m happy to share her story. As someone who has first hand sampled Jeanne’s amazing coffee and birthday cakes, I am just thrilled. She has a lot to share about gluten free baking and I’m sure it will be written in her very personable style. I hope that many kitchens will add this book to their shelves! What a fantastic opportunity and actually a blessing for all those people who ARE gluten intolerant. This book is going to be an amazing resource of recipes. MUCH MUCH luck. Thanks Maggie and Jaenne for the wonderful interview. I have been looking for the idea to write a proposal for a cookbook and came to this blog. My thoughts are precise and much clearer after reading Jaenne’s interview. I’ve enjoyed following some of Jeanne’s journey on twitter! Good luck to Jeanne! Great interview, Maggie really enjoyed reading it.